1. 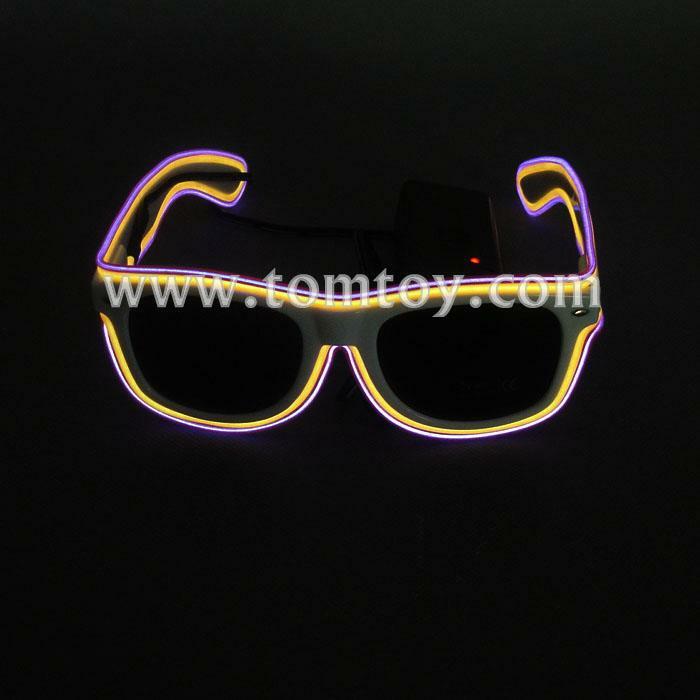 Our glasses come with a white frame, black lens and Yellow & Purple EL wire, so they are perfect for night time. 5. EL Wire color: Red, Yellow, Orange, Transparent Blue, Blue, Pink, Purple, Fluorescent Green, Jade, and White. Any two colors can be combined.